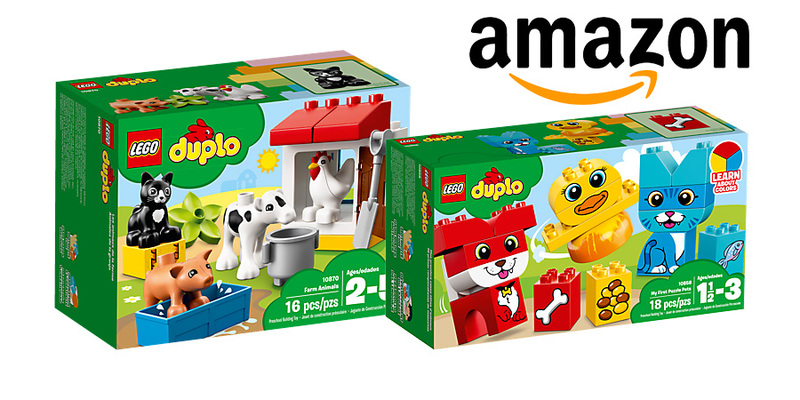 Amazon are offering free LEGO® DUPLO sets when you spend £25 or more on toys. There are two sets to choose from including 10870: Farm Animals and 10858: My First Puzzle Pets. The offer is available until October 31st. You’ll need to purchase toys sold directly by Amazon and use the code shown below. Check out the latest LEGO toys available from Amazon now. Step 1: Add £25 or more of toys to your basket, this can be one toy or multiple. The product must be sold by Amazon to qualify (not a third party seller). Step 2: Select which one of the two LEGO DUPLO set options to add to your basket (this product will be free once added to basket and you have entered the claim code at check-out). Both free toy options can be viewed below. Step 3: Go to check out and enter the claim code ‘LEGODUPLO’ for the promotion to be applied.